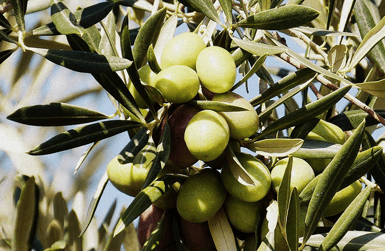 Did you know that Spain is the first world producer of Olive oil? Just in our region, Catalonia, there are 5 of 32 designations of origin of all Spain. It’s not surprising then, that Spanish olive oil is so important in our cuisine and it’s no wonder that we have the best olive oil in the world. 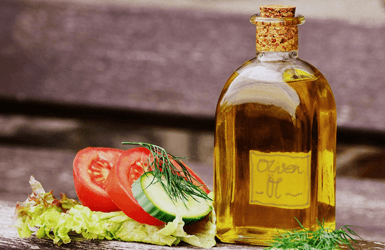 So buying Spanish olive oil can be a great idea if you are looking for a nice souvenir, but there are a few things to take into account before you buy it. There are two main things to pay attention to: the olive oil types and the elaboration process. Today we’ll tell you all about it. Arbequina olive is an olive from Palestinian origin and is the smallest olive grown in Spain. Its features a yellow slightly green, and it has a buttery flavor on the palate with a spicy finish. 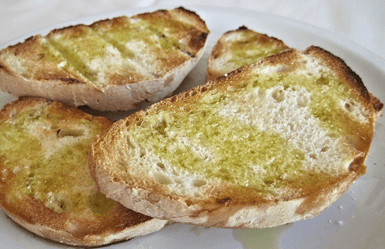 Best for salads, sandwiches and dishes where olive oil has a special relevance. By the way, arbequina olives are often served as an appetizer or on salads, they have a brownish color and a bitter taste. A typical olive from the Andalusia region, specially recommended for fatty fish such as salmon or tuna, as well as fish or meat carpaccio. Its flavor reminds of fresh grass with spicy touches, and it has a pretty and intense golden color. It’s a variety grown especially in the area of Jaén (Andalusia), and it’s the olive variety that is most grown all over the world due to how easy it is to cultivate it. In mouth is fruity, with bitter and spicy touches. Perfect for salads, fried or battered food, meat, rich stews…. Basically grown in Madrid, Toledo and Caceres, this oil goes great with salads, pizza or bread, cebiche, baked potatoes or pies. It has aroma of unripe fruit such as apple, and it’s just slightly spicy. Although it is typical from the Aragon region, we can find it in Tarragona and Logroño as well. It has a pale yellow color and it’s very pleasant and sweet in mouth. Unlike all the other types of olive oil, it’s not spicy at all. It’s ideal to prepare olive oil coupages. AND BONUS! Does it mean you can buy any Spanish olive oil? Not at all! So what about you? Head to the comments below and tells us: What are your favorite types of olive oil and why?